Floyd Mayweather’s caught a lot of flack over the past few days over his stance on the Gucci boycott. His initial response made it seem like he was just salty over the lack of support of The Money Team brand but after T.I. and 50 Cent roasted him to death, he shared a statement explaining his stance. Although he’s had beef with T.I. in the past, Jay Bling, DJ for the Money Team, claimed the ATL rapper’s feud with the boxer is over Tiny, not Gucci. T.I. made it clear that he doesn’t have beef with Mayweather over Tiny. 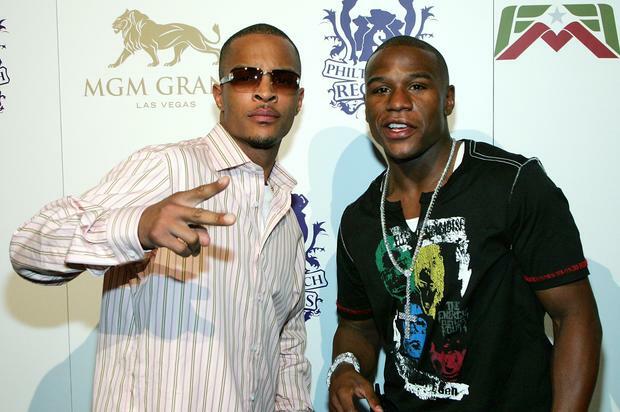 The rapper explained that when it comes to a personal issue with Floyd, he isn’t afraid to pull up again, referencing their highly publicized brawl at Fatburger in Vegas in 2014.